Possibility to spend the night at Singapore airport (SIN), if open 24 hours. Services available, places to rest (free resting zones), or look for the list of nearby hotels and vip lounges..
Singapore airport is a huge place with numerous things to do while you wait for your flight, including a city tour. It is recommended to have earplugs and a sleeping mask. Where to rest: You will be able to find plenty of couches and areas with carpeted floors throughout the enclosure. In addition, there are rest zones with reclinable chairs in the four terminals. Another option is to enter one of the VIP lounges, most open around the clock, although the maximum stay is 3 hours. 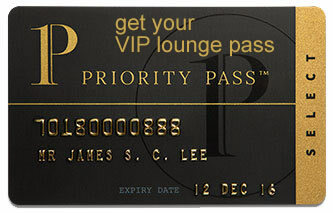 SEE VIP LOUNGES If you want a better rest, there are transit hotels in terminals 1, 2 and 3. Baggage: There are luggage storage offices operating 24 hours a day in all terminals. Eating and drinking: All terminals have options that remain open throughout the night. Restrooms: Showers inside the VIP lounges and the airport spas. Wi-Fi: Free for 3 hours (or for 24 hours with a local number). Other services available around the clock: Currency exchange bureaus, ATMs, commercial stores, baby changing rooms, medical clinics, pharmacies, spa, cinemas, prayer rooms. The Aerotel Singapore (Tel +65 6808 2388) is found on level 3 of Terminal 1, while inside terminals 2 and 3 is situated the Ambassador Transit Hotel (Tel +65 6542 8122 / 6507 9788). The Crowne Plaza Changi Airport (Tel +65 6823 5300) is connected to Terminal 3 through a covered walkway. There are reservations desks in the Arrivals Hall of all terminals. Village Hotel Changi (Tel +65 6379 7111), Park Avenue Changi (Tel +65 6809 7300), Capri by Fraser Changi City (Tel +65 6933 9833), Cameron Hotel (Tel +65 6545 1816), Raintr33 Hotel (Tel +65 6653 3833), Changi Cove (Tel +65 6922 6122), CherryLoft Resorts & Hotels (Tel +65 6388 5522).